How Long Do Springer Spaniels Live? Home » Spaniels » Springer Spaniel » How Long Do Springer Spaniels Live? 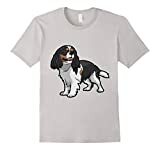 Originally known as the Norfolk Spaniel, the English Springer Spaniel is a breed of dog well known for its happy temperament, general enthusiasm and hunting abilities. English Springer Spaniels are natural hunters of birds and are the loyal companions to hunters up and down the country. Its overall hunting endurance – even in harsh conditions – makes this a highly revered breed which is loved all around the world. The English Springer Spaniel has a general lifespan of between 10 and 15 years. 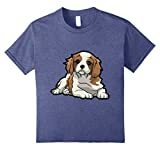 With proper care, there is no reason why your English Springer Spaniel cannot live for the full fifteen years or more. Keeping your dog healthy, well-fed and exercised is a sure-fire way to ensure they enjoy the longest and happiest lives possible. As with any breed of dog, an English Springer Spaniel comes with a whole range of possible health problems, with some being more likely to occur in this particular breed of spaniel. Elbow dysplasia where multiple developmental abnormalities occur within the dog’s elbow joints such as the growth of cartilage. Surgical intervention is typically required to treat this, although it can be helped with physiotherapy. Otitis externa is another health condition where the dog’s ear canal becomes chronically inflamed and wax begins to build up. Gradually, excessive fibrous tissue will build up and can narrow the dog’s ear canal. Retinal dysplasia where the dog’s eye(s) become inflamed and swollen. It is a non-progressive disease which can be caused by viral infections and can be cured with proper treatment. Two characteristics of the English Springer Spaniel are their big, floppy ears and their shaggy coat. In fact, its coat is one of the many reasons it is a popular family pet. It is also something which needs to be properly looked after. An English Springer Spaniel needs to be combed and brushed at least once or twice per week. The coat should also be professionally treated and trimmed every three-or-so months. Doing this will ensure that the coat remains lustrous and healthy for longer. In terms of non-physical care, you should give your English Springer Spaniel plenty of room to run, play and explore; they are a curious breed which requires a large amount of space to be physically active. Remember that this breed loves to hunt and they will get restless and boisterous should they not get an adequate amount of time outdoors – the spaniel’s natural hunting instincts need to be satisfied, even if this is just chasing birds in the garden.